It seems like all of our favorite manufacturers are expanding into new markets, and well, produce just about everything these days. 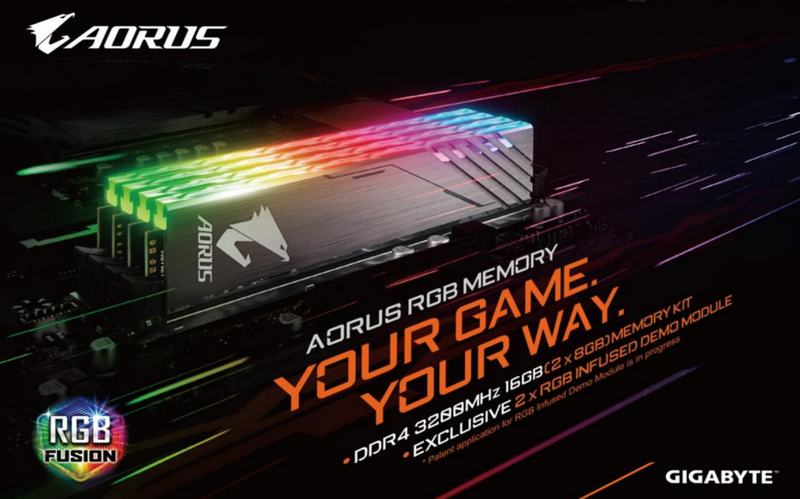 GIGABYTE is following this trend, launching their first AORUS DDR4 3200 MHz 16 GB (2 x 8 GB) RGB memory kit. Although, RGB memory is far from unique, this memory does actually feature an industry-first. Each kit will come bundled with two “dummy” memory modules, in addition to the two 8GB modules. The “dummy” modules feature full RGB compatibility and prevent that awkward look of only filling half of your four RAM slots. 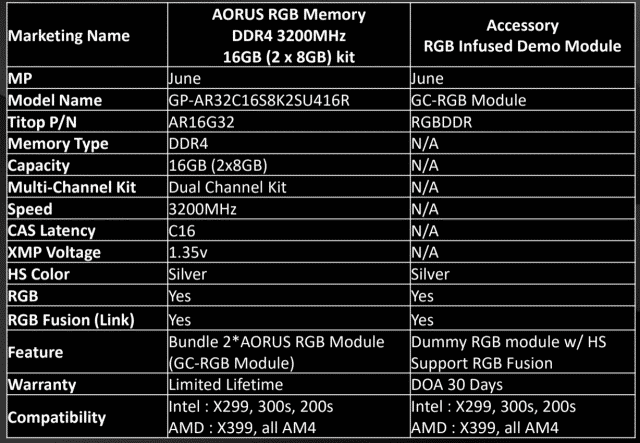 According to GIGABYTE, this kit should be available towards the end of June with a suggested retail price of $229. "Dummy" modules? Aptly named. When will Gigabyte introduce their new car? But really it looks nice. Somehow I think that availability will be limited to couple of countries. The bad part.... I have gotten to LOVE my G.Skill 2x8GB TridentZ DDR4-3200 @ CL14. If the competition can't hit this speed, then it's to slow.